In honor of their new location the chamber held a ribbon cutting at their grand opening. 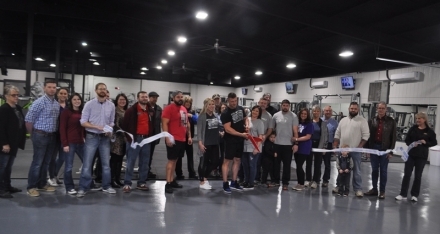 Poteau Family Fitness is located at 211 S Witte. The new 23,000 square feet training facility offers 24-hour access, Basketball Court, Tanning bed and Spray tanning (for an extra cost,) Large play area for children, Crossfit area, dressing rooms, lockers, showers and makeup vanity areas. Stop by the Largest Fitness Center in LeFlore and get fit for the New Year!